They say that he's been arrested after the Equadorian embassy ended it's agreement with him. 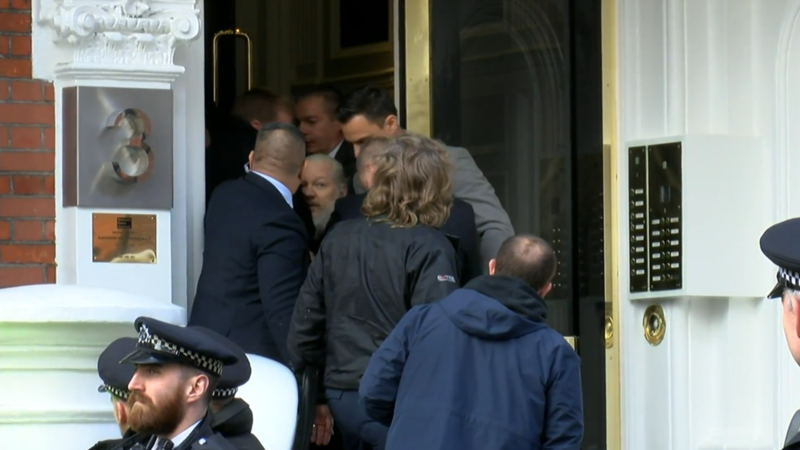 Funny thing is, the media has been camped outside the embassy for days, but now they are all running the report of his arrest with not one photo, or video clip. I will believe it when I actually see him being led out of the embassy by the authorities. I don't think he's been there for a long while now. But we will see what video proof the media offers us. Oh well, looks like I was wrong. If anything will be revealed in the end. These events rarely happen "spontaneously"
Yeah, the thought has crossed my mind. Ecuador just got $4.2 billion from the IMF. I'm sure it's a total coincidence. Trump is nothing more than a charismatic mainstream republican at this point. Q is implying that they're going to use Assange testify on the dnc hacks and reveal what he found. Any truth to that? That cop in the bottom right of that picture is making a great trollface. 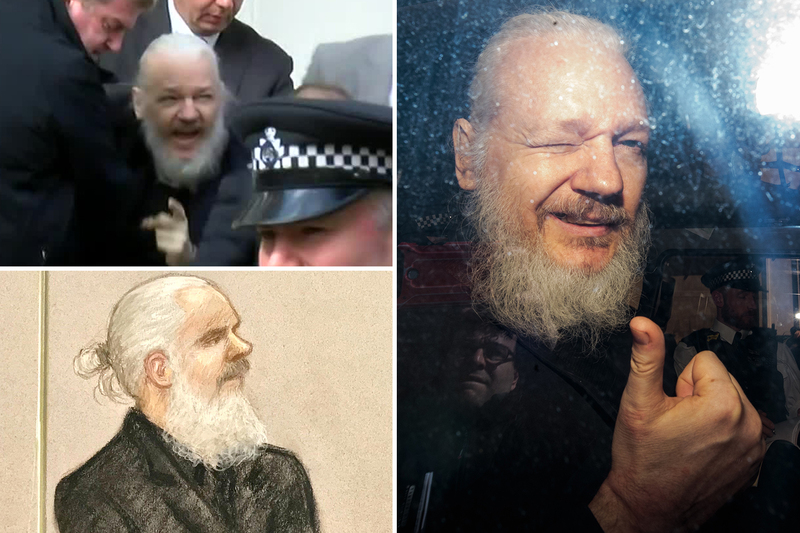 Assange looks pretty cocky in the thumbs up pic, and winking, doing a one eyed salute. 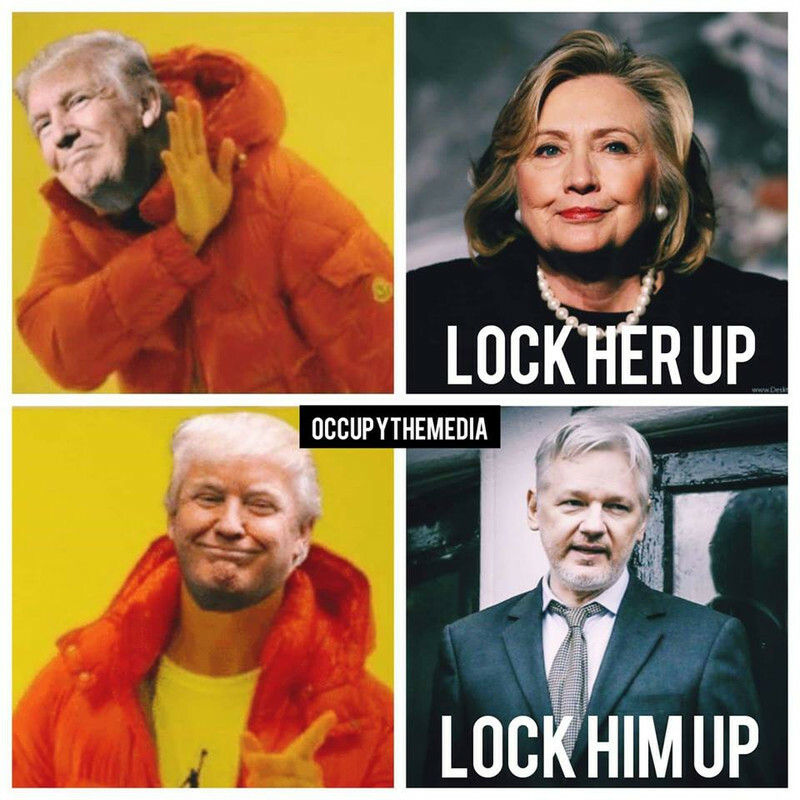 I wonder if the real reason he's being extradited to the US is so that he can assist in the Trump administration's investigation into the attempted coup that involved high ranking members of the Obama admin. Also the investigation into the Clinton foundation. If this had happened to Assange under an Obama or Hillary admin, I'd be worried for him. Somehow I don't see Trump's admin going too hard on him, and they'll probably plea bargain with him for dirt on Hillary and Obama. 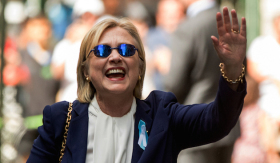 The AG has already eluded to the fact that that the illegal spying by the Obama admin will be investigated, and many people think that the real reason the Mueller report is being kept under wraps is because the AG is building a huge case against Clinton and co, and he will be using the Mueller report as a part of it.